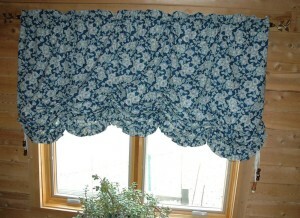 Why I Chose Balloon Shades Over Roman Shades? Modern shades have been steadily growing in popularity as the trend for contemporary interior design leans more and more towards minimalist window treatments. Window shades all share the same style of function and operation- interior mounted and simple drawing mechanisms. Styles of shades range from the ultra cheap vinyl shades common in dorms or basements, all the way to unique or exotic fabrics used for solar shades. The purpose of all window shades is the same, which is to provide adequate control of light and ventilation with a simple operation. Unlike the traditional style of drapes and curtains which look complex, layers, and opulent, window shades offer a simple and continuous extension of your wall over your windows. They generally consist of a single sheet of material covering the window which is why it’s not uncommon to have custom Roman shades made for each window so that they have a tight fit. Eliminating gaps means the shades give you even more control of light and privacy. Among all of the different window shades, there are two types that stand out as both the most versatile and the most common. Balloon Shades Or Roman Shades? Roman shades and balloon shades are the most popular window shades available because of their affordability and their style. While Roman shades exemplify contemporary window treatments with their single sheet of fabric and folding pattern when drawn, balloon shades have become a customer favorite because they provide the most balance. Whereas Roman shades test the limits of minimalist design, balloon shades add a little depth and character with their ballooning fabrics. With the traditional interior mounting brackets of a shade, you eliminate all of the hardware and rods of curtains, but still get to maintain a little personal style and flare in your window treatments.